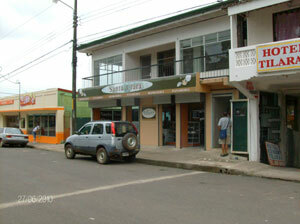 Finished in 2009, this modern building has three floors, two of which face a main street and Tilaran's central park. 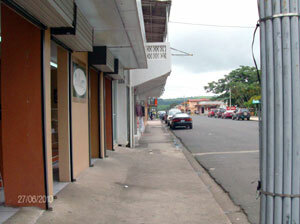 The street level floor is rented to an attractive bakery. Above it is the office floor - now open and with two bathrooms - which opens to large balcony. The basement level, with access from the back of the building, contains two 2BR 1BA apartments. 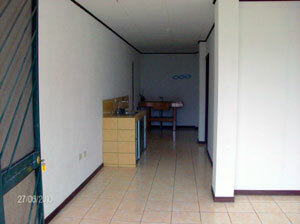 This building has excellent income potential in addition to the rent paid by the bakery, which has a lease until 2012. 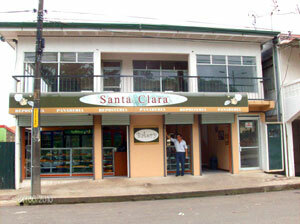 At street level is a bakery while above is a wide balcony fronting the three third-floor offices. 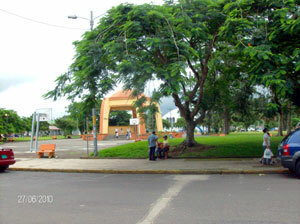 Across the street is Tilaran's central park and catty corner is the Banco Nacional. The distinctively modern building in the center of the town is an excellent and convenient location for businesses, offices, and apartment dwellers. 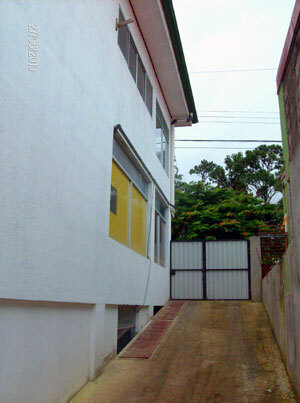 A paved driveway leads down to the back garden where there are entrances to the two first-floor apartments and balconies for the second-floor bakery and third-floor offices. 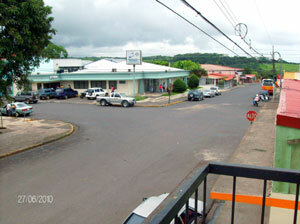 The view from the top-floor front balcony includes the Banco Nacional. 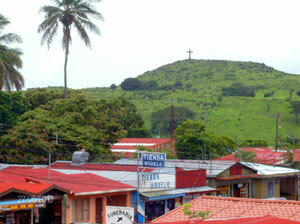 Prominent in the back views is La Cruz, Tilaran's foremost landmark. 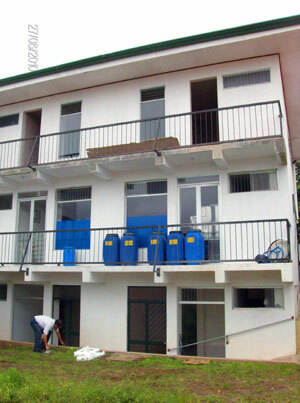 The first-floor apartments are not yet occupied. 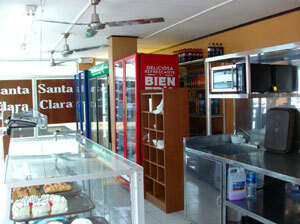 The bakery occupies the whole main floor.